Backstory: Want some cheese with your wine? 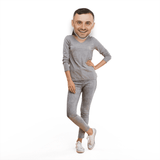 Ask Gary Vaynerchuk! This wine expert is also an entrepreneur and is even four-time New York Times best-selling author. Vaynerchuk is an angel investor and advisor for some of your favorite companies, like Snapchat and Tumblr. He got started early in life by operating a franchise of lemonade stands and trading baseball cards for some serious cash. He joined his family’s wine business at the tender age of 14. He took over his father’s personal store in 1999, after he graduated from college. At the time, it was earning $3 million a year. After renaming the store, he started a daily webcast about wine. By 2005, he was earning $60 million a year. This guy is more accomplished than most of us will ever be. 🤩DON’T JUST WEAR THE CELEBRITY, BECOME THE CELEBRITY - Want to bring some class to your next event? Look like wine man Gary Vaynerchuk at parties, festivals, and Halloween.